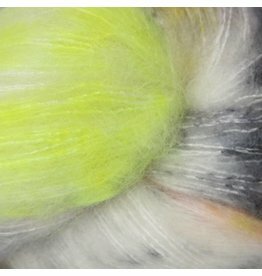 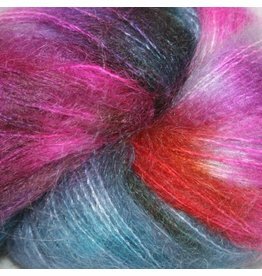 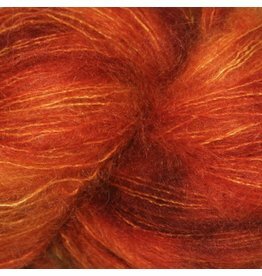 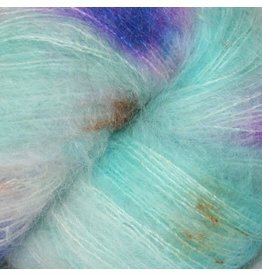 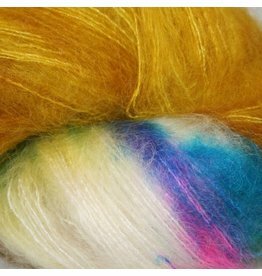 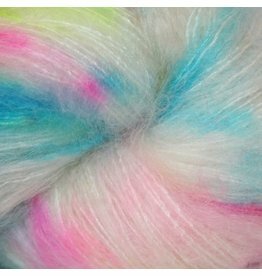 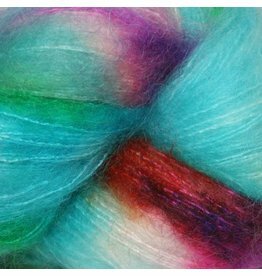 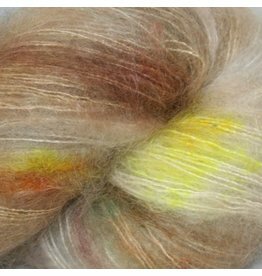 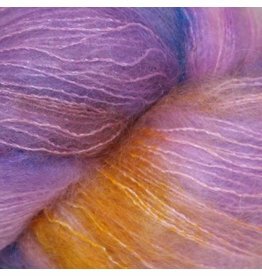 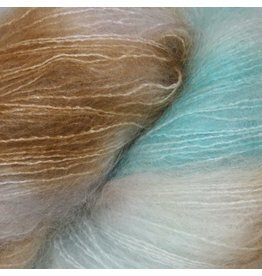 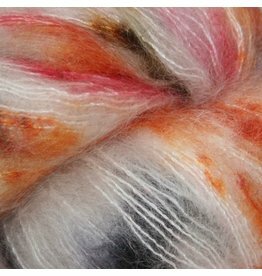 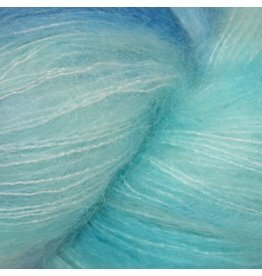 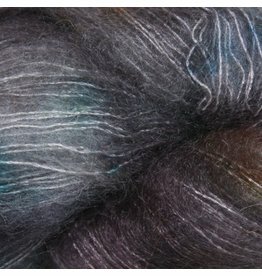 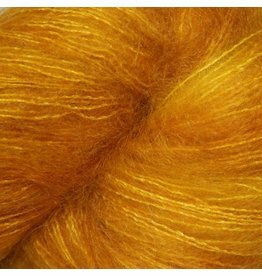 Beata's Kidsilk Lace has a glowing pure silk core wrapped in soft fuzzy mohair halo, the ultimate lace yarn. 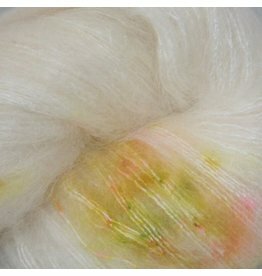 Use as carry-along yarn to add fuzziness to everything from scarves to sweaters or held double for extra fuzzy accessories. 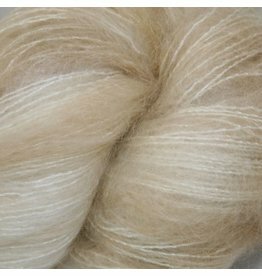 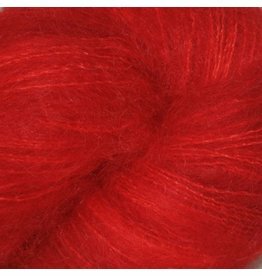 Fibre content: 70% Kid Mohair, 30% Silk lace weight yarn. 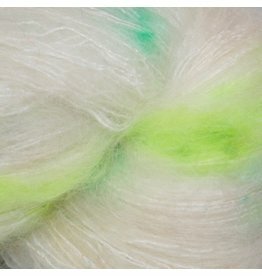 Sold in approx. 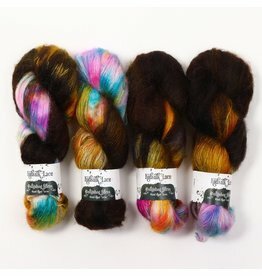 50g skeins/420m.